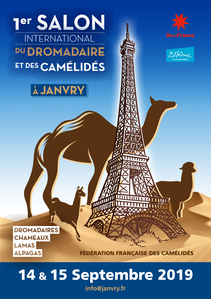 Camel Milk Inhibits Growth of Colon Cancer and other Health Potentials - DromaCity, passion dromadaire et désert ! Thanks a lot for your kind hearted help, which made me, what seems to be a impossible to achieve considering the place where am living. 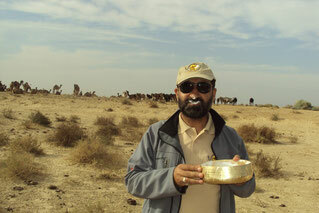 Getting a camel milk to Southern part of India, Chennai from scorching Rajasthan, is a mighty task. Thanks Raziq sir, for providing me all possible inputs and continuous guidance. Am thanking Christina Adams who is the one first i contacted and, Hanwant singh Rathore and Ilse too for helping me supplying the camel milk, in a neatly packed way, so that milk doesnt get decompose. There are many significant changes in my kid after he starts taking camel milk. Currently he is taking pasteurized milk of 700ml+ daily and following are the improvements which we achieved.1) His unnecessary irritation has gone. In between, we went to punjab, India and got chance to get raw camel milk for a period of month time and that made a big difference in his eye contact. Am spreading awareness about benenfits of camel milk across the autistic parents here and giving them the milk from my stock. am helping my colleague’s relation, who is having alzheimer to take camel milk daily, which is a type of dementia that causes problems with memory, thinking and behavior. Symptoms usually develop slowly and get worse over time, becoming severe enough to interfere with daily tasks. Now he is doing really well and he use to walk with others help, but now he can able to walk on his own. Next time, we are planning to get Raw milk henceforth and to feed everyone, who is having problem, for which camel milk is the solution :) . Am started just with a dot, people like Christina Adams, Abul Raziq Kakar, Hanwant singh Rathore, Ilse, made it as a excellent art altogether. Someway, there should be a relation between us all in some form, which is binding us now and happy to have such contacts, which is contributing something to the needy ones. Extrait de la thèse présentée et soutenue par le docteur KONUSPAYEVA sur l'utilisation médicinale et thérapeutique du lait de chamelle. Titre : Variabilité physico-chimique et biochimique du lait des grands camélidés (Camelus bactrianus, Camelus dromedarius et hybrides) au Kazakhstan. Composants du lait de chamelle et propriétés médicinales. Ces observations, bien qu’empiriques, peuvent être reliées à la composition du lait de chamelle dont on fait l’hypothèse que certains des composants jouent un rôle spécifique tant sur le plan quantitatif que qualitatif. Trois types de facteurs présents dans le lait de chamelle peuvent être associés à ces propriétés : les facteurs anti-bactériens, l’insuline et la vitamine C. A cela s’ajoutent les propriétés probiotiques des bactéries lactiques présentes dans les produits fermentés. VII.1. - Les facteurs antimicrobiens Parmi les facteurs antimicrobiens, on retiendra essentiellement : la lactoferrine, le lysozyme, la lactoperoxydase et les immunoglobulines. Utilisation médicinale et thérapeutique du lait de chamelle Le lait de chamelle est apprécié traditionnellement pour ses propriétés anti-infectieuse, anti-cancéreuse, anti-diabétique et plus généralement comme reconstituant chez les malades convalescents. Les vertus médicinales de ces produits sont couramment mises à profit dans le traitement de quelques maladies infectieuses (Djangabilov et al, 2000 ; Chuvakova et al, 2000). En Asie Centrale, l’utilisation du lait de chamelle pour le traitement adjuvant de la tuberculose humaine en sanatorium est ancienne. On reconnaît au lait de chamelle des propriétés immunostimulantes ayant un rôle dans le contrôle des processus tumoraux. Au Kazakhstan, il est traditionnellement utilisé comme adjuvant à la chimiothérapie de certains cancers, notamment ceux du tube digestif. Il semble également que des résultats probants soient obtenus dans certaines maladies auto-immunes, telles que le lupus, le pemphigus, la maladie de Crohn et la sclérose en plaques . Agrawal et al, (2005) ont publié la suite de ces travaux, après des observations pendant 52 semaines chez 24 patients. Un groupe a reçu le traitement habituel, et l’autre 500 mL de lait de chamelle par jour. Ils ont observé une réduction significative de la dose d’insuline nécessaire chez les patients insulinodépendants. Le lait de chamelle est couramment utilisé comme reconstituant chez les malades convalescents et dans les états de fatigue. Il a la réputation de renforcer les défenses immunitaires et de stimuler l’activité physique des organismes en état de surmenage. On attribue au lait de chamelle des propriétés anti-allergiques, Restani et al, (1999) ont testé des IgEs d’enfants allergiques au lait de vache contre toutes les protéines du lait de brebis, de chèvre, de bufflesse et de chamelle. Les IgEs ont réagi avec toutes les protéines laitières sauf celles du lait de chamelle. Les anticorps monoclonaux anti protéines laitières bovines ne reconnaissaient pas celles du lait de chamelle, alors qu’ils reconnaissaient toutes les autres. 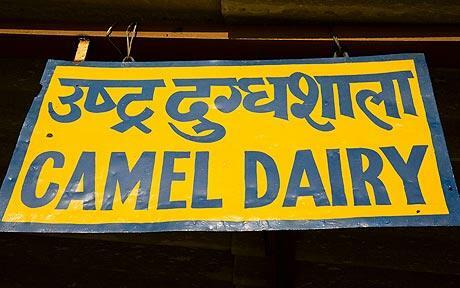 Camel milk is attracting million of people for its health promising aspects. 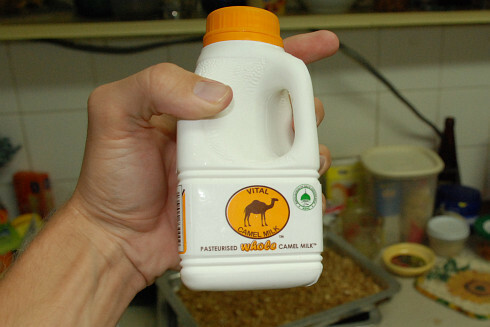 Camel milk can be supper food and a natural pharmacy in the emerging climate change scenario. 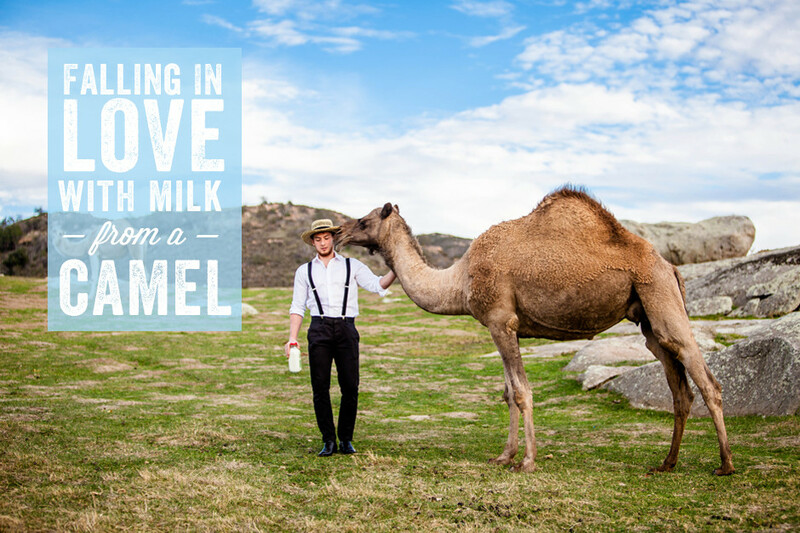 Human health challenges like viral outbreaks, especially in Africa and Asia can be better addressed with the camel milk. Camel milk fortified with natural antibiotics (lactoferrin, lactic acid bacteria and others)2 with symbiotic affect to the good bacteria is a silver lining in the clouds. 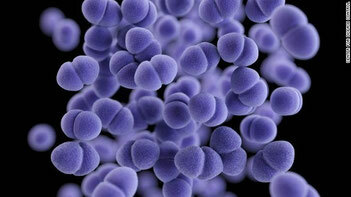 Such natural food provides needed nourishment to good bacteria and restrict bad bacteria to harm the body. I hope the scientist will conduct some more serious scientific studies to explore the hidden treasure of camel milk to combat the challenge of superbug. The camel has been serving millions of people living in the arid, semi arid and desert areas, i.e. provides food, fiber, transportation and social status to the herders. A few attempts have been done in health, nutrition, physiology and reproduction, camel productivity per se is still relatively untouched. A lesser and even neglected amount of milk is published in the gray records of the country. 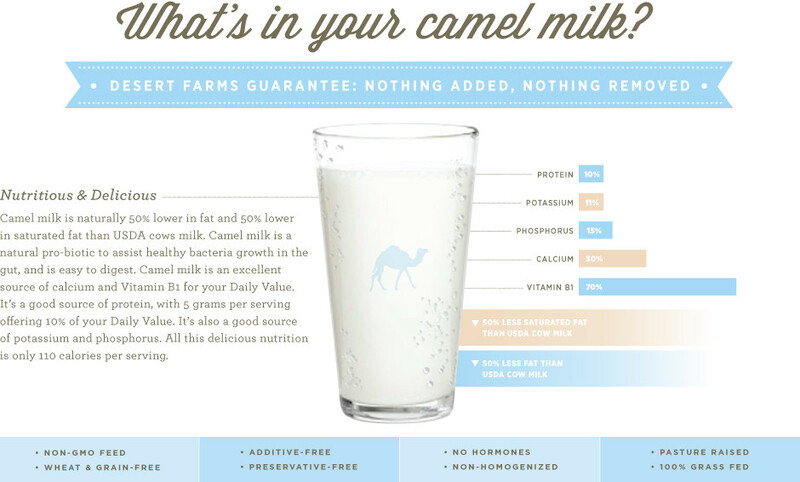 The camel milk has never been appreciated, valued and estimated properly (Raziq et al, 2008). In recent time, though some importance is given to camel and the milk yield is now tabulated as separate entity, not included in others and small ruminant. (Economic Survey 2009-10). Camel milk production is stable in almost all seasons, which is very important for the pastoralist, when the milk of other animals is seized in the dry period. 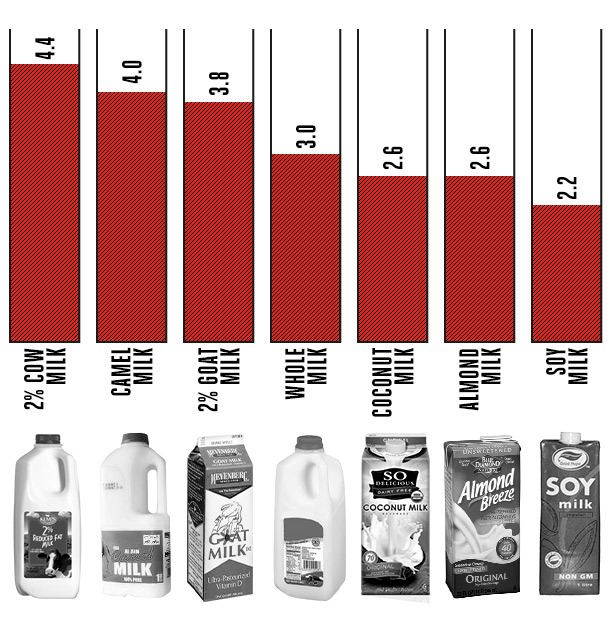 Camel intake per kg of milk produced is very less, making it an efficient biological model. It is very appropriate specie on marginal and poor grazing lands. This review of the available information on the ability of camel as milk animal was conducted to know the actual worth and future role of camel as dairy animal. Camels were originally domesticated for their milk, following the move to use the camel as a beast of burden, especially for armies, there has been a return to its original task. It has been shown that camels can provide 15-20 liters of milk per day for a lactation period of up to 18 months, making it a very good farm animal. Globally camel produces about 2 % of the world total milk and that milk is mostly produced by pastoral people and consumed locally (Raziq et al, 2008). There is a weak knowledge about the true potential of the camel and very rare references are available in the scientific database especially on various quantitative traits like daily, lactation yields and the factors affecting on it. Nevertheless some new studies in Pakistan, i.e. milk yield, lactation curve and the factors affecting on it are available in recent times. Such studies were conducted on a mountainous camel called Kohi (Raziq et al, 2011). In Pakistan camel population attain one million head with almost 20% of lactating camel produces around 0.6 million ton of milk annually (Raziq et al, 2008). Such a huge amount of milk is not well documented and never channelized. Pakistani camel has excellent potential as milk animal including, Marecha, which is probably one of the best milk yielder in the world with an average milk yield of 4,179 liters per year (Sial, 1950). On average daily milk yield is from 8 to 10 liters but under intensive management conditions milk yield is from 15 to 20 liters daily. However, some specimens have been reported to yield as high as 40 liters per day (Qureshi, 1986; Raziq, 2010). Such a huge amount of milk will never be expected from an exotic or crossbred cow in low input production systems. When the camels were well fed, there was an average milk yield of 10–15 kg per day (Yasin and Wahid, 1957). In the areas with poor feeding and under desert conditions, the daily average was 4 kg. According to an on farm study conducted by a team of scientists (Knoess et al, 1986) in Punjab province of Pakistan, the camel produced more milk per kg body weight than Sahiwal cattle, Friesian×Sahiwal cattle and buffaloes. Also in a similar environment, camels produce more milk for a longer period of time than any other species, while their requirement for feed is modest (Wilson, 1998). Jasra and Aujla (1998) reported that the economic benefits of camel products (milk, meat, etc.) are not apparently visible. However, the domestic value is considerable. 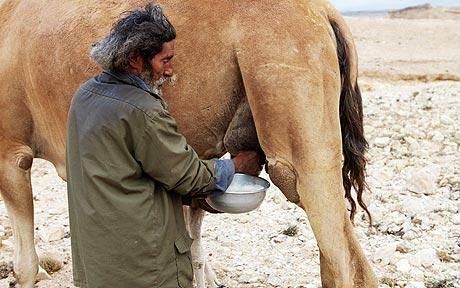 As high as 22 liters of milk, were daily obtained from a few camels in Balochistan. They reported that the daily milk yields varied from 4 to 12 liters, the lower milk yields attributed to poor feed availability. (Qureshi, 1986). The mainly available food item for the pastoralists is the milk of camel; therefore, they do not dry the animal, which results in the lengthy lactation period, even higher than 18 months. However according to some researchers, the milk yield and lactation length of Pakistani camel averaged 1894.93 liters and 445.58 days (15 months), respectively (Baloch, 2001). Farmers reported a lactation length of 270 to 525 days (9-18 months) with a the total milk yield ranging in between 1,250 to 3,650 liters with an average of 1,800 liters per lactation (Jasra and Aujla, 1998). In recent study lactation length of mountainous Kohi (Fig. 1) camel is reported as 8-9 month (Raziq et al, 2011) with a yield of 2590.5 liters. The genetic worth of camel to produce milk is admirable. The factors affecting on milk yield are lesser sentimental as in other livestock species. Camels live in harsh and hostile habitats and thrive in areas where green fodder is only seasonally available, and can survive on feeds left by other animals (Knoess, 1977). The efficiency of the camel should be appreciated in terms of its productivity parameter as well as with respect to its superb adaptation to a harsh environment, sustainability of production across seasons, and accessibility to people living on marginal lands. time has reached to know and exploit the true potential of camel and to find the ways to sustain this old industry for the cause of the conservation of important animal genetic resource and transform it in a modern entrepreneur in the near future. dissertation Sindh Agricultural University, Tando Jam. Doctoral Library, HEC, H-9 Islamabad, Pakistan. Economic Survey. 2009-10. Government of Pakistan, Finance Div. Economic Advisor's Wing, Islamabad. Jasra, A. W. and K. M. Aujla. 1998. Socio-economic Profile of Camel Herders in South-western Mountainous Areas of Pakistan. The camel newsletter, No 15 pp 14-17. Knoess, K.H. 1977. 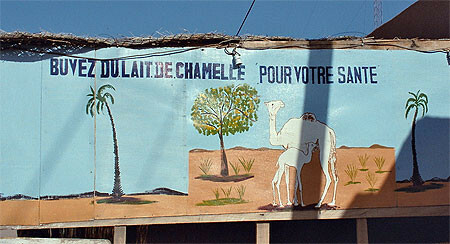 The camel as meat and milk animal. World Anim. Rev. FAO Rome, 22:39-42. Knoess, K.H., A.J. Makhudum, M. Rafiq, and M. Hafeez. 1986. Milk production potential of the dromedary, with special reference to the province of the Punjab, Pakistan. World Anim. Rev. FAO Rome, 57:11-21. 1986. The Camel. A paper presented at a Seminar on the Camel. FAO, Kuwait. environments. Pak. J. Agri. Sci., Vol. 45(2). Raziq, A. 2010. Kharani camel of Chaghai-Kharan desert. Personal communications. Research, vol. 7, No. 2(1-4). Sial, U.H. 1950. Part-I. Investigation into the production of milk and camels and the uses of which it is being put in the Punjab, including the local practice of management of camels. Part-II. Making of ghee from camel's milk by different methods and determination of its properties. M.Sc. (Agri.) Thesis, University of The Punjab, Lahore. Yasin, S.A. and A. Wahid. 1957. Pakistan Camels: A preliminary survey. Agri. Pak. 8:289-297. Un voyage autour du lait. 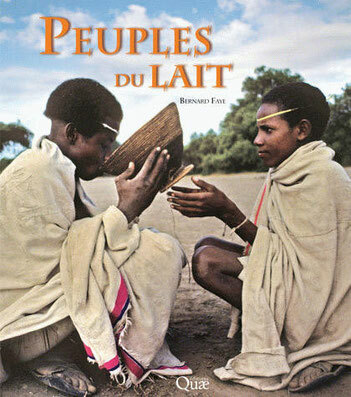 À travers déserts, steppes, montagnes, plaines et villes du monde, les images somptueuses de ce livre vous promettent une rencontre avec les peuples du lait. Escales inédites pour découvrir, à travers le temps et les continents, les pérégrinations du lait, de l'homme et de son troupeau. Le lait, un aliment qui ne laisse personne indifférent. Il tisse dès le début de l’existence, chez tous les mammifères, le lien entre la mère et son petit, mais il nourrit aussi l’homme depuis des millénaires dans de nombreuses cultures. Une relation étonnante avec l’animal où il n’est pas besoin de tuer pour s’alimenter. Aujourd’hui, jamais l’homme n’a bu autant de lait. Les produits laitiers sont au cœur de nos vies, et au centre… de nombreuses polémiques. Ce livre n’est pas fait pour y répondre. Il propose un voyage pour comprendre comment s’est construite notre histoire avec le lait. Il offre au lecteur une rencontre avec les peuples du lait à travers déserts, steppes, montagnes, plaines et villes du monde. Escales inédites pour découvrir, à travers le temps et les continents, les pérégrinations du lait, de l’homme, de son inventivité et de son lien avec son animal, yack, brebis, jument, vache, chamelle, chèvre ou bufflonne. Lait des villes ou lait des champs, lait de brousse ou lait de steppe, ou encore lait de montagnes, mais aussi lait des riches ou lait des pauvres : c’est à cette traversée parmi les gens du lait, où qu’ils se trouvent, que vous invite ce livre. Christina ADAM Author and journalist Christina Adams is the first U.S. woman to gain permission from the federal government to import camel milk to treat autism. 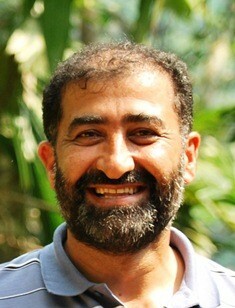 She will speak on camel milk at the Autism One conference in Chicago in May 2012. Du lait dans le désert… Ou comment valoriser un potentiel hypothétique en réussite industrielle au pays des sables et des dromadaires, une aventure qui est devenue un livre, l’histoire de Nancy Jones-Abeiderrahmane. Quand elle s’est lancée dans la pasteurisation du lait de chamelle dans les années 80, cette ressortissante britannique ne se doutait pas qu’elle deviendrait la femme la plus célèbre de Mauritanie. “Je suis arrivée en Mauritanie en début de juillet 1970. Quand j’ai entendu parler de la Mauritanie, j‘étais en dernière année d‘étude d’ingénieur, et mon projet de fin d‘étude, c‘était une usine de lait en Mauritanie. A Nouakchott, il n’y avait que du lait en poudre. On a démarré la production en 1989. Au début, ça n’a pas marché du tout, c‘était une catastrophe…. Traditionnellement, c’est une honte de vendre du lait. Il f fallu cinq ans pratiquement avant de commencer à nous en tirer. 1 000 fournisseurs. Et l’on a calculé qu’il y avait peut-être 3 000 familles qui vivaient de ça dans la vallée. En vendant leur lait, ils ont eu des véhicules et des troupeaux, les enfants sont allés à l‘école. On a eu des cas très exemplaires. C‘était très intéressant. L’Etat m’a faite chevalier de l’Ordre de mérite. Et nous avons reçu aussi ce prix Rollex, qui m’a fait très plaisir, c‘était à une époque ou ça n’allait pas du tout. Consacrée par plusieurs prix, Nancy a même un rond point à son nom dans la capitale. Chaque jour, conclut notre reportern, ces chamelles fournissent l’usine de Nancy en lait frais pour finir dans des paquets pasteurisées prêts à consommer. La réussite d’une femme, et d’un produit plein de promesses.